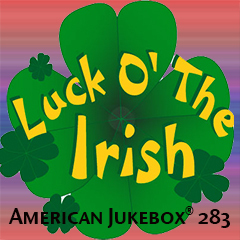 Irish-Americans and Irish-born hitmakers from the '60s and '70s are abundantly represented on this Luck of the Irish edition of American Jukebox®. 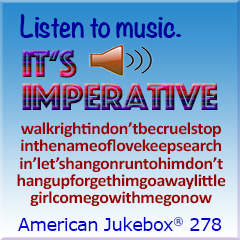 Literally, hundreds of great hits were sung by boys and girls ages 17 and under. Not an 18 or 19-year-old in the pack! 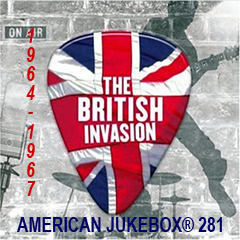 For three years British recording artists dominated the American pop and rock charts. 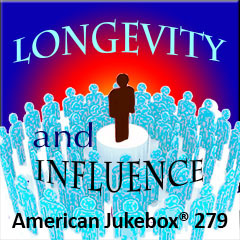 Their influence is a significant piece of popular music history. Some recording artists have been at it for decades. They record, tour and still give concerts. Their influence is enormous. "Home" is immortalized in song: come home, back home, my home, take me home, homeward bound, home fires - get the picture? 34 of them in all. 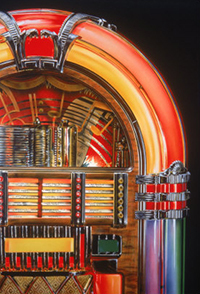 Cruzin' Easy is a well-balanced and sure to please playlist for lovers of '50s & '60s pop. 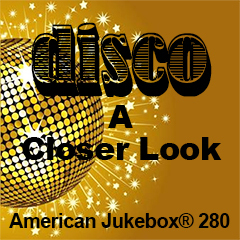 Created early in the American Jukebox® series, AJ #83 features an easy feel with an emphasis on '50s and '60s pop - easy listening. 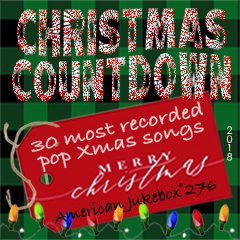 Based on extensive work by Record Research, Inc., the 30 most recorded pop Christmas songs are counted down. 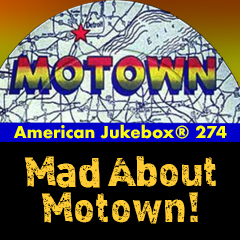 Digging into the '60s and '70s Motown catalogue for hits and other gems. 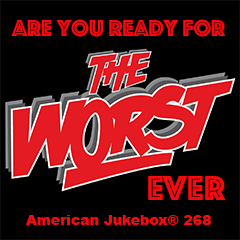 The 5 W's are contained in hundreds of our favorite songs. Havin' fun with three dozen of them. In 2011 the northeast was waiting for Hurricane Irene to make landfall in New England on Aug. 27. She did. While we waited we had our music and drink. 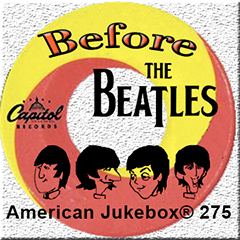 Songs with fascinating facts about the records, the people, and the backstories. The Queen of Soul earned that title with nearly 60 years of performing under her belt. This is a career-spanning tribute. 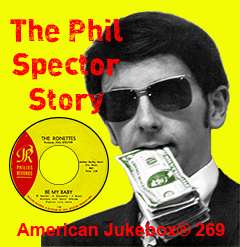 Phil Spector is the legendary record producer who created the "Wall of Sound" with a stable of talented singers and musicians. 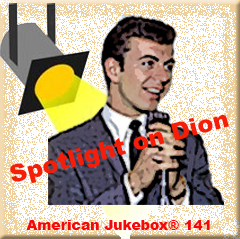 A look at Dion DiMucci's heyday in the 1960s plus other hits of pop, rock and soul.